Need It In Under 72 Hours? No Problem! Just hit the gig extra and we will make it happen. 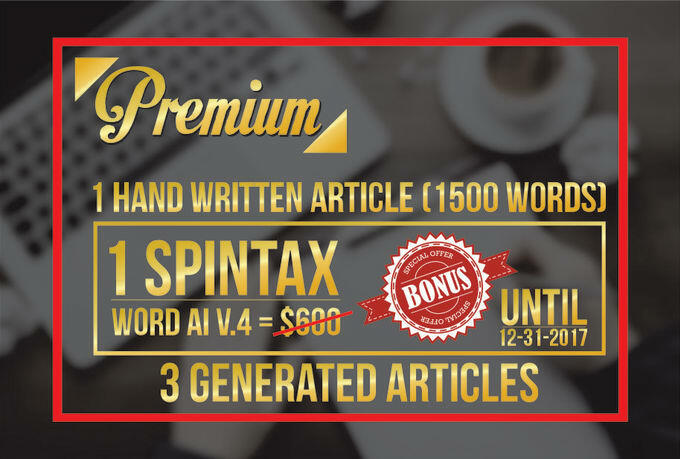 With plenty of experience in online writing, we will write one high quality, 500 plus word article, on the topic of your choice. With the new Panda/Penguin/Hummingbird (Elephant, maybe???) updates, quality is extremely important. Google is constantly looking for natural content. Therefore, we write to please Google and still make sure your reader is fully engaged. Additionally, as article directory websites have started tweaking their quality standards, you will need quality content or you will be denied consistently. Many of these websites try to stay on Google's good side. With that in mind, you should be aware that SEO optimized really means 1% to 2% keyword utilization. Even then, that can be a stretch. So, rest assured, we can handle your needs sufficiently.